Every October we have a tradition where my brother comes over and with my husband and the kids, they have a ton of fun carving pumpkins! Two is our limit when it comes to carving. However, we always end up with a lot more pumpkins because of school field trips to the pumpkin patch and excited family members who want to buy the kids pumpkins. So a couple years back, we tried some Pumpkin Decorating Ideas instead of carving. 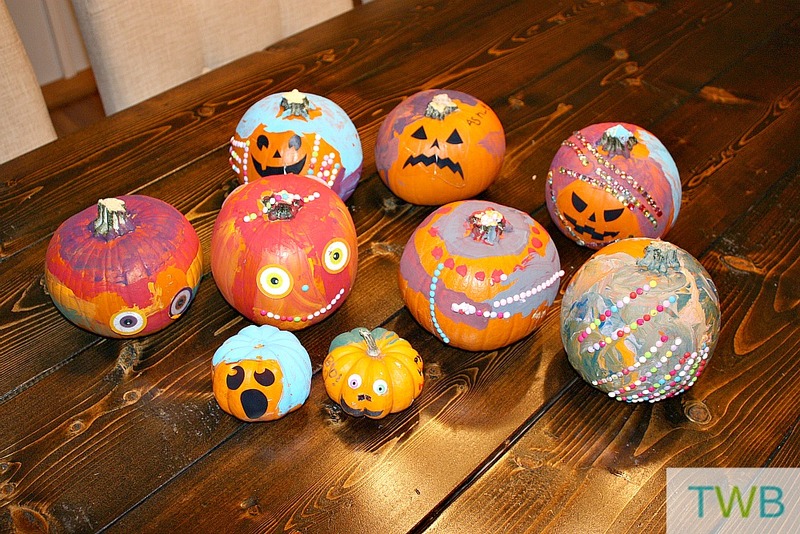 The pumpkin decorating ideas were a hit and they don’t require carving! Last year we even had a fun Halloween party at our house where everyone got to get creative and make their own special pumpkin. 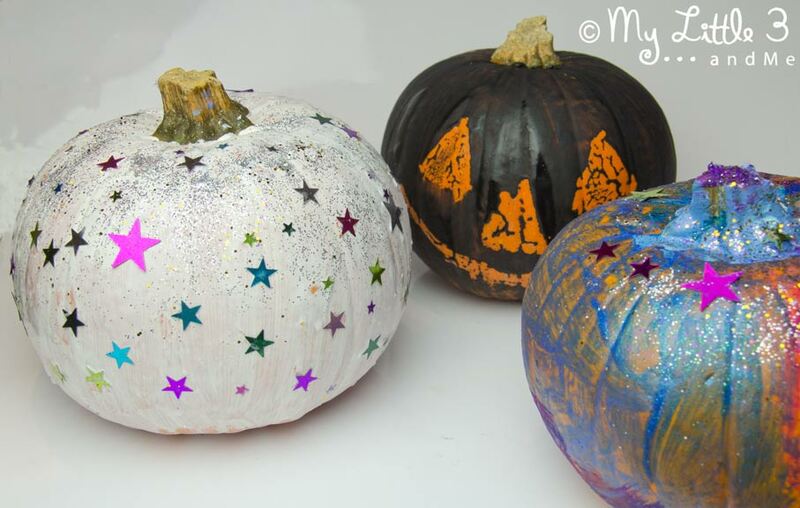 If you’re in the same boat as us when it comes to the number of pumpkins you end up with, or you prefer not carving them, here are 5 Fun Pumpkin Decorating Ideas for you to try. These are my favourite. 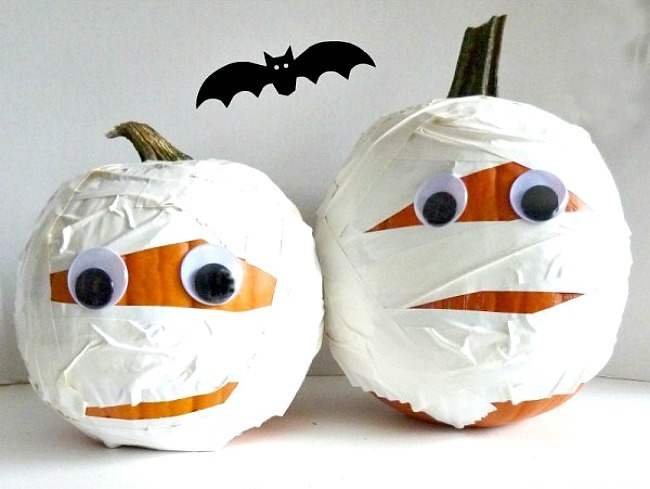 The mummy pumpkins are cute and scary at the same time as well as being simple to make. 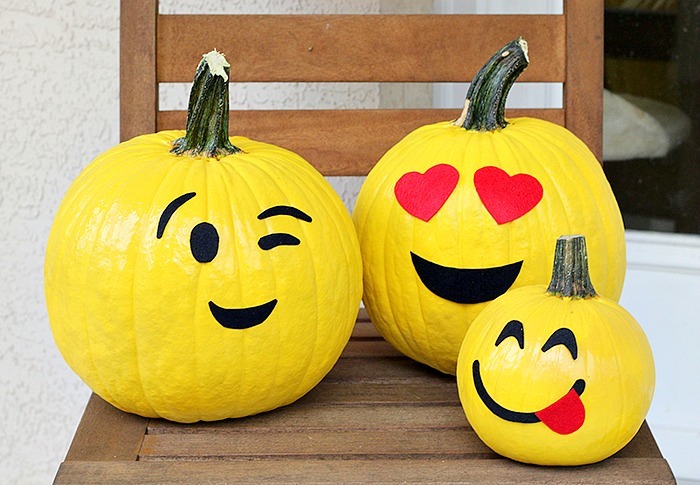 We all love a good emoji 🙂 And here’s a great tutorial on how to turn your Halloween pumpkin into one! 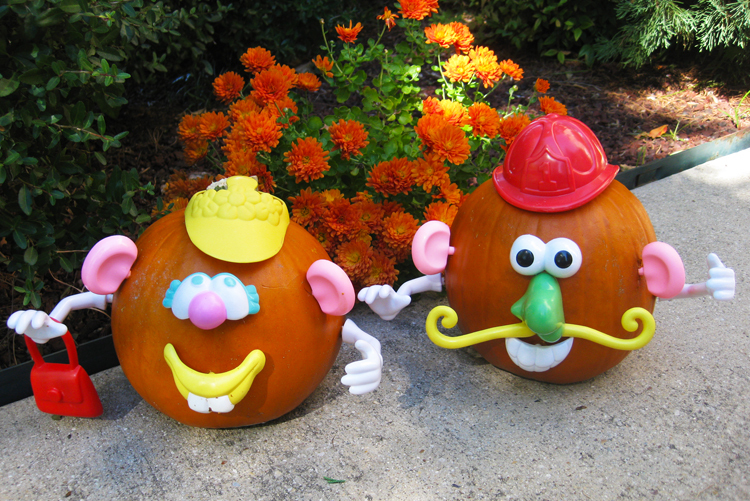 If you have any of the Mr & Mrs Potato Head collections, use them to make a really simple and fun no carve jack-o-lantern. This no-carve pumpkins will be super easy for the kids to do and it’s also kind of creepy for Halloween. 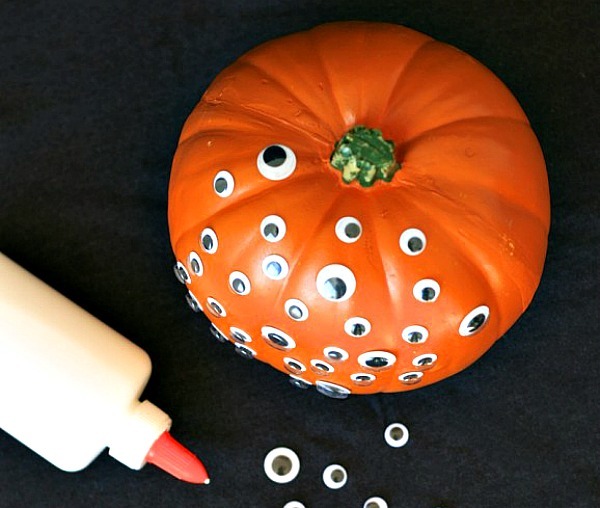 Painting a pumpkin can be a great alternative to carving. There are so many different ways to do it and it’s easy enough for the kids to do. 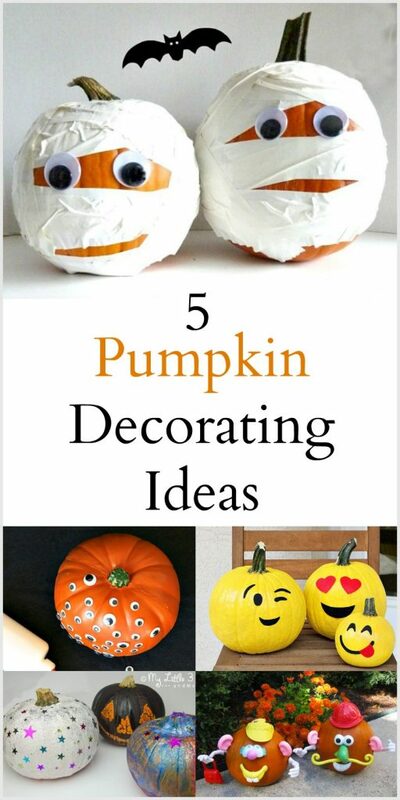 For more pumpkin decorating ideas, check out this No Carve Pumpkin Pinterest Board. These are all good ideas. I love the mummified pumpkin. We have a competition at work and I could use ideas!